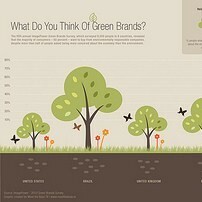 Portfolio 21 recently released its Top 10 list of eco-friendly companies that are doing well by doing good. Each of these businesses makes a contribution to a better world, some in the form of energy-saving products and systems for manufacturers, or of time and resource preserving services and consultation, or even for services for companies that are going green. Based in Portland, Oregon, in the US, Portfolio 21 (PORTX) is a global mutual fund that has for nearly 30 years advocated investment in green companies. Based in Switzerland, ABB offers innovative technologies for automation and energy that allow various industries to lessen environmental consequences while enhancing efficiency. GridSync, a recent product, allows ABB’s public utility clients to improve the efficiency of their distribution systems. It also has strong customer relations in the oil and gas industry and in the burgeoning wind turbine sector. Cisco is an industry leader in teleconferencing, which saves time and travel. Its prowess in networking points to a leadership role in raising productivity, enhancing economic growth and aiding sustainability. One of its management systems helps energy efficiency by remotely monitoring and controlling multiple buildings. Its systems are modular in design, which allows upgrading one part without the need for an entire new system. Among other things, Eaton provides parts and systems for companies that incorporate these items into products that reduce energy consumption, for instance hybrid vehicles and renewable energy machines. Eaton can offer high-efficiency variable speed drives, or power control systems that can lessen consumption up to half. It has set a goal of lessening in-house energy use by one-fourth over ten years by 2016. Growthpoint calls South Africa home and manages real estate. Growthpoint founded the Green Building Council of South Africa, which rates the green aspects of commercial buildings, as a part of its strategy to lessen the negative aspects of energy consumption and environmental impact of its real estate portfolio. It is quite aware that limited natural resources can raise energy prices and result in empty spaces in its holdings. The grey beard of the Top 10, IBM has been environmentally sensitive for 40 years. Among other things, it helps its customers lessen energy use and control temperature variances in their data centers. It has lessened heat shedding by the servers it builds and recently nailed an improvement in energy efficiency of up to 90%. It also has taken steps to reduce greenhouse gas in its own activities. Johnson Matthey traces its history to the fabrication and refinement of precious metals. However, its focus now is on catalysts and the role they play in chemical processes. These catalysts allow chemical reactions to occur under less taxing circumstances; they can also help the conversion of bio mass and other green material into a clean fuel, or lessen the impact of tail pipe emissions. A primary goal of management is to foster product lines that incorporate resources that result in less damage to the environment. Novozymes is a biotech company that produces enzymes and other microorganisms. Use of these products can save energy and raw materials and may also help produce motor fuel from agricultural waster. Some of its products abate the chlorine requirement in paper production while others allow for a cold-water wash in the laundry room. To top things off, Novozymes enzymes are biodegradable, nontoxic and contain no genetically modified elements; this comports well with the company’s self-imposed, demanding containment guidelines. Ormat has roots in Israel and does business in the field of geothermal and recoverable energy. Although geothermal energy has good emission standards and fairly minimal physical intrusion, it does pose the hazard of toxic emission were a subsurface, geologic disturbance or upheaval occur; consequently Ormat has created closed loop systems to minimize the risk. It has also dealt fairly extensively in recovering otherwise wasted heat from industrial processes. Schneider Electric is all about energy and resource efficiency. It supplies equipment and services which others use in the field of solar and wind energy. One of its systems allows shut off of all lights in a building with a single switch; it has also created an environmental check sheet that rates performance and the environmental consequences of the ultimate disposal of an item. Tennant Company creates equipment and products for floor maintenance and for cleaning up outside in streets and parking lots. It has designed Green Seal approved cleansers and some of its cleaning equipment requires only water. Tennant has long-term environmental goals and looks at environmental issues as opportunities, rather than roadblocks, for progress. The financial performance of Portfolio 21 would be commendable under normal circumstances but, given current economic conditions, it truly deserves praise. While it may be that these and the other sustainable companies comprising Portfolio 21 were positioned to avoid the ravages of a global financial downturn, it must be granted that the wisdom of incorporating resource preservation and environmental friendliness into a mission statement seems to have helped these “green companies” endure, if not prosper.